In 2013, America’s 55 poison centers received over 3.1 million calls. Of those, about 2.2 million were calls about poison exposures ranging from carbon monoxide to snake bites to food poisoning. The rest were calls for information. Chemicals in and around the home can poison people or pets and can cause long-term health effects. Every 13 seconds, a poison control center in the United States answers a call about a possible poisoning. More than 90% of these exposures occur in the home. Poisoning can result from medicines, pesticides, household cleaning products, carbon monoxide, and lead. 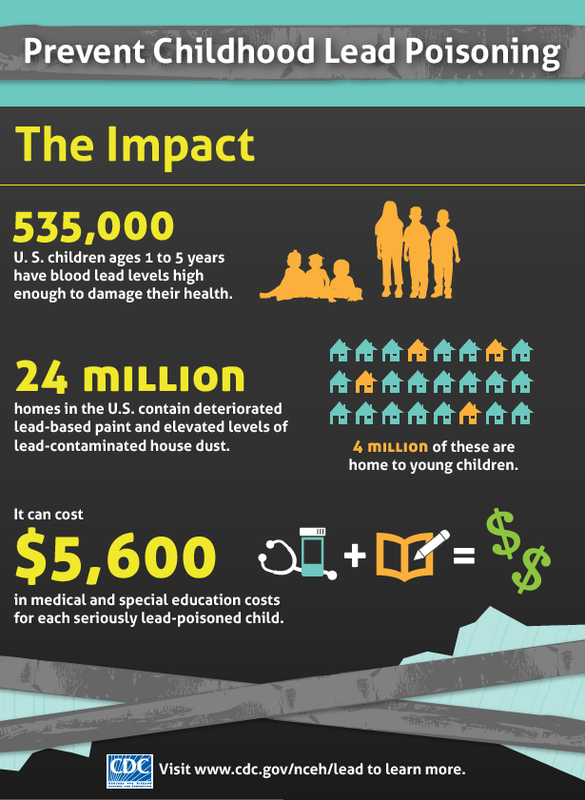 The major source of lead poisoning among U.S. children is lead-based paint and dust with lead. All houses built before 1978 are likely to contain some lead in the paint. However, it is the flaking, peeling paint that causes a problem. Other sources of lead in the home may include traditional home remedies, ceramics, toys and toy jewelry, lead-contaminated soil, lead water pipes, and lead solder used in plumbing. Lead poisoning occurs when lead builds up in the body, often over a period of months or years. Even small amounts of lead can cause serious health problems. Children under the age of 6 are especially vulnerable to lead poisoning, which can severely affect mental and physical development. At very high levels, lead poisoning can be fatal. While treatment is available for lead poisoning, taking some simple precautions can help protect yourself and your family. 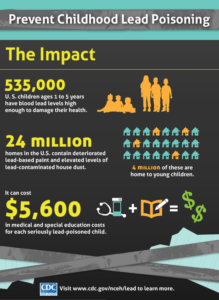 Lead-based paint and lead-contaminated dust in older buildings are the most common sources of lead poisoning in children. Other sources include contaminated air, water and soil. Adults who work with batteries, do home renovations or work in auto repair shops also may be exposed to lead. It couldn’t hurt to ask you MD if you should get a lead level taken yearly or less for people who live around lead or the area having a history of it or adults in the work force working need lead products. High blood pressure-Abdominal pain-Constipation-Joint pains-Muscle pain-Declines in mental functioning-Pain, numbness or tingling of the extremities -Headache-Memory loss-Mood disorders-Reduced sperm count, abnormal sperm-Miscarriage or premature birth in pregnant women. ENDING LINE is knowing how to prevent leading causes of child injury, like poisoning, helps keep our children safe and secure and helps them live to their full potential. Everyday items in your home, such as household cleaners and medicines, can be poisonous to children as well. Active, curious children will often investigate—and sometimes try to eat or drink—anything that they can get into. Lock them up. Keep medicines and toxic products, such cleaning solutions, in their original packaging where children can’t see or get them. Know the number. Put the nationwide poison control center phone number, 1-800-222-1222, on or near every telephone in your home and program it into your cell phone. 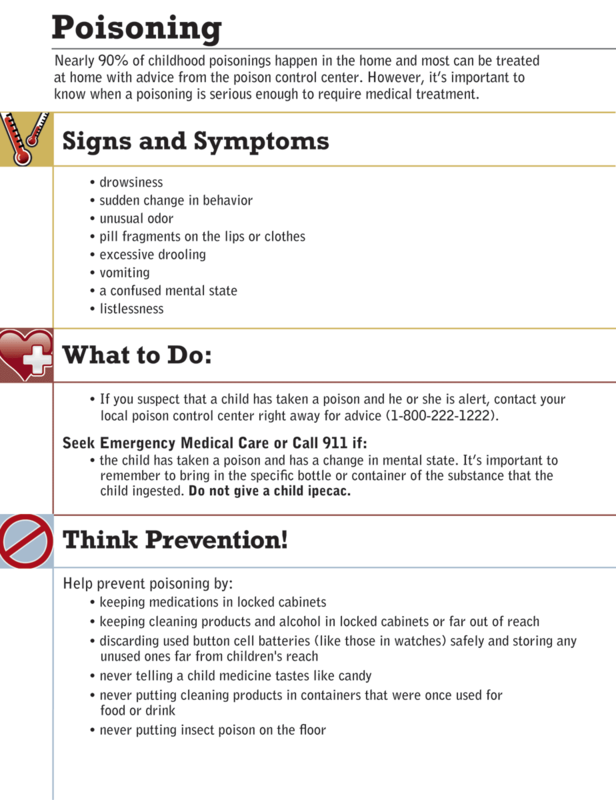 Call the poison control center if you think a child has been poisoned but they are awake and alert; they can be reached 24 hours a day, seven days a week. 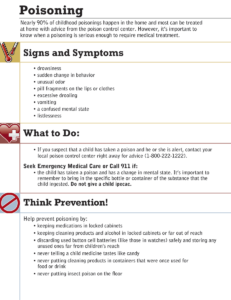 Call 911 if you have a poison emergency and your child has collapsed or is not breathing. Read the label. Follow label directions and read all warnings when giving medicines to children. Don’t keep it if you don’t need it. Safely dispose of unused, unneeded, or expired prescription drugs and over the counter drugs, vitamins, and supplements. To dispose of medicines, mix them with coffee grounds or kitty litter and throw them away. You can also turn them in at a local take-back program or during National Drug Take-Back events. Take all medicines as directed and store out of reach of children. Turn on fans and open windows to help ventilate the area when using household cleaners and chemicals. The United States is in the midst of an opioid overdose killed more than 28,000 people in 2014, more than any year on record. At least half of all opioid overdose deaths involve a prescription opioid. More people died from drug overdoses in 2014 than in any year on record. The majority of drug overdose deaths (more than six out of ten) involved an opioid. Opioids include opiates, an older term that refers to such drugs derived from opium, including morphine itself. Other opioids are semi-synthetic and synthetic drugs such as hydrocodone, oxycodone and fentanyl; antagonist drugs such as naloxone and endogenous peptides such as the endorphins. Opioid drugs are predominantly central nervous system agents, most often used medically to relieve pain. So again its restated to take meds as prescribed and keep out of reach for children especially (babies/children out of reach to locked up-Better safe than sorry). 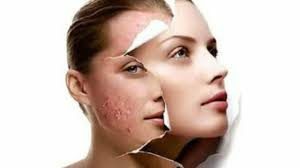 Factors that may worsen acne. Cosmetics. Cosmetics don’t necessarily worsen acne, especially if you use oil-free makeup that doesn’t clog pores (non-comedogenics) and remove makeup regularly. 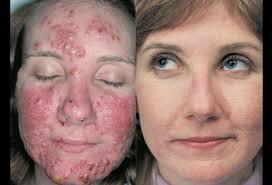 Non-oily cosmetics don’t interfere with the effectiveness of acne drugs. Stress. This doesn’t cause acne, but if you have acne already, stress may make it worse. 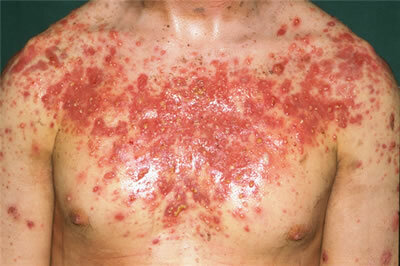 Acne is the most common skin condition in the United States. Although it’s common, accurate information about acne can be scarce. Go to striveforgoodhealth.com and learn in Part 3 about our spring and summer friends who sting especially regarding how to treat it. PART 2 BE ALERT TO SPRING & SUMMER INSECT STINGING VISITORS INCLUDING WHAT TO DO IF STUNG. Honey Bees will sting if defending their honey stores or their queen, or if they think you are threatening their life by standing or sitting on them. Honeybees have a barb at the end of their sting which remains under your skin after they have stung. When a honey bee stings a person, it cannot pull the barbed stinger back out. It leaves behind not only the stinger, but also part of its abdomen and digestive tract, plus muscles and nerves. 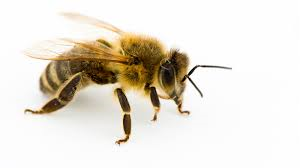 Honey bees, including killer bees, have barbed stingers that tear off when they try to fly away after stinging, so these bees die after the sting and thus can sting only one time. In this case the stinger and venom sac typically remain embedded in the skin of the victim.This massive abdominal rupture kills the honey bee. Honey bees are the one of the few species of bees to die after stinging. They usually die right after they have stung. It is worth noting that honeybees have a somewhat variable temperament, from extremely docile to quite tetchy. This is down to genetics: certain crosses can be hard to handle, even by experienced beekeepers. The good news is that honeybees almost never sting anyone who is not close to their nest/hive, so don’t worry about being stung whilst gardening or walking through a field. 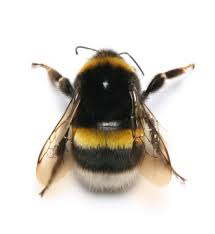 There are over 230 species of solitary bee in the UK and it is VERY rare for anyone to be stung by one of these bees. As solitary bees have no honey stores to protect, there is no reason for nature to have provided them with a good defence weapon like the honeybee. The females are equipped with tiny stings but rarely, if ever, do they use them. You would have to be squashing them to provoke them to sting – and even then, the sting is so insignificant that it cannot pierce human skin. There are just one or two exceptions. Although the effect is not as severe as a honeybee sting, our tiniest species of ground nesting solitary bee, Lasioglossum and Halictus, both have fully functioning stings capable of penetrating human skin. 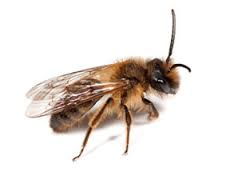 None of the male solitary bees have stings. To easily identify atrial fibrillation with RVR, it is vital to understand the working of the heart. The atrium or atria (plural) is the upper chamber of the heart, bigger in size compared to the lower chambers known as the ventricles. The atria function by gathering blood as it flows into the heart and shrinking to forward the blood into the ventricles. At the very moment, the smaller ventricle must shrink to forward the blood to all parts of the body. This rhythm of blood flow creates a heart signature voice referred to as the Sinus rhythm. It is important that the sinus rhythm is synchronized so that the atrium does not send blood into the ventricle out of cue. To achieve this, an electric signal is generated to ensure the atrium contracts. When this signal short circuits (bypasses) the atrium, atrial fibrillation with RVR occurs, and the atrium is seen to vibrate just like jelly on a flat surface. Atrial fib with RVR refers to atrial fibrillation with rapid ventricular rate. Usually the heart is like clockwork, the top (collecting) chambers beat then the bottom (main pumping) chambers sense this and also beat, and so on, in a nice regular fashion just like a clock ticking second after second. Usually the heart beats at about 60-80 beats per minute. In atrial fibrillation the top chamber basically goes crazy often firing off over 400 beats per minute! Atrial fibrillation with RVR (Rapid Ventricular Response) is a heart condition caused by irregular electrical activity that results in irregular contractions of the 2 top heart chambers fibrillating. This means the heart (atriums), shakes with a rapid tremulous movement or makes fine irregular twitching movements, generally referred to as fibrillating causing little control in the heart output of blood by the heart but the lower chambers called the ventricles take over. These bottom chambers don’t allow all those impulses through but it does let every second or third one through. This can give a heart rate of 100-180 beats per minute at rest, still too many beats, known as Afib with RVR, leading to symptoms and problems with heart function. Afib does not necessarily lead to Afib with RVR however, Afib can be rate controlled, sometimes naturally, sometimes using medications and sometimes requiring procedures as discussed below. 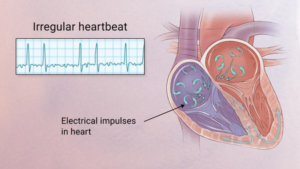 In most people with AFib although symptoms can sometimes be unpleasant it is generally not harmful as long as the afib is controlled, meaning the heart in the afib rhythm with the pulse under 100. The main concern is stroke, but that can be treated with the use of blood thinning medications in people at risk. In Afib with RVR, basically the heart is beating too fast. Of course palpitations are the most common symptom. 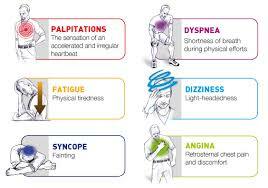 Other symptoms of AFib with RVR may include dizziness, lack of energy, exercise intolerance and shortness of breath. If Afib with RVR goes on for too long then this may result in heart failure and of course worsening of existing heart failure. Control of the heart rate in patients with Afib with RVR often causes these symptoms to improve, again meaning the HR is under 100 with the heart rhythm in afib. A major indication of atrial fibrillation with RVR is a very rapid heartbeat rate, although some patients are known to have the condition without showing symptoms. Atrial fibrillation with RVR may occur when cardiac muscle cells overcome their intrinsic pacemaker’s signals and fire rapidly differently from their normal pattern spreading the abnormal activity to the ventricles. The rapid heart rate can strain the heart, developing a situation referred to as Tachycardia (meaning a pulse greater than 100). Atrial fibrillation with RVR can be detected from the various symptoms though it is important to remember that some patients have experienced the condition without symptoms. Some of the symptoms of this disease include heart palpitations (described as unnoticed skipped beats or skipped beats noticed from experienced dizziness or difficulty in breathing), shortness of breath when lying flat (orthopnea), shortness of breath (dyspnea after exertion) sudden onset of short breath during the night (also called paroxysmal nocturnal dyspnea) and gradual swelling of lower extremities. As a result of inadequate blood flow, some patients complain of light headedness and may feel like they are about to faint, a condition referred to as presyncope and may actually lose consciousness (syncope). Some patients experience respiratory distress that results in them appearing blue. A close examination of jugular veins usually reveals elevated pressure in some patients (jugular venous distention). When some patients are subjected to lung examinations, crackles and rales may be observed pointing to possible lung edema. A good diagnosis of the symptoms shown by patients is important to ascertain that the patient is suffering from atrial fibrillation with RVR. This is because some forms or irregular and rapid heart rates, tachyarrhythmia, are dangerous and must be ruled out as they are life threatening – such as ventricular tachycardia. Some patients are usually placed on continuous cardio respiratory monitoring, but an electrocardiogram ECG is vital for correct diagnosis. Simple, a typical 12 lead electrocardiogram (ECG). This test shows cardiac rhythms which atrial fibrillation is. Rhythms are made up of types of waves that the ECG shows which are P waves, QRS waves, T waves and U waves. The QRS complexes should be narrow, to signify that they are being initiated by normal conduction of atrial electrical activity through the Intra-ventricular conduction system, or heart conduction system. Wide QRS complexes could point to ventricular tachycardia, although wide complexes may also be an indication of disease processes in the Intra-ventricular conduction system. The R-R internal will also likely be irregular. Meaning measuring from each R section of the QRS rhythm. It is also important to find out if there are triggering causes for the tachycardia which include dehydration, Hypovolemia – a decrease in blood volume, and more specifically decrease in blood plasma volume. You can go ahead to eliminate Acute coronary syndrome – which refers to any diseases that are directly attributed to the obstruction of coronary arteries. Acute afib RVR patients are more likely to be converted to Normal Sinus Rhythm (the best rhythm you could be in) as opposed to patients with chronic afib. There are complete resolutions for both kind of afib but atrial fibrillation in RVR the heart can handle for only so long and remembering the engine of our body is the heart so take good care of it for if you don’t it could allow you to die.